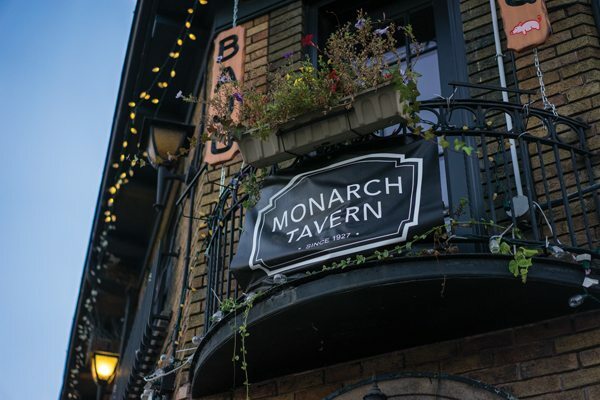 The Monarch Tavern, hidden on a residential street in Toronto’s Little Italy, is one of the oldest licensed establishments in the city. Evan Georgiades and Michael Dorbyk bought the Monarch five years ago, and today the venue regularly hosts film events, live music, and book and magazine launches. “I always wanted there to be a place where people from different [artistic] disciplines could find a common ground,” Georgiades says. The Monarch’s two floors have had different uses over its storied history, but the downstairs bar is where the current owners hold events and private parties. 2. 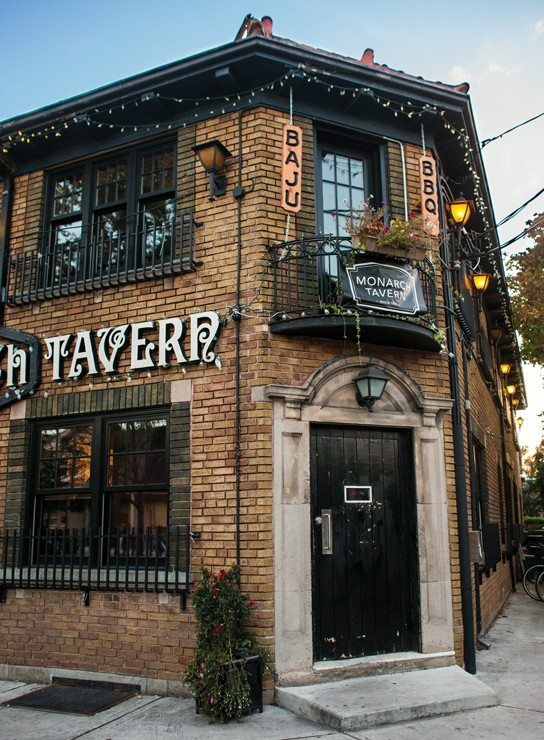 A collision of past and present adds to the Monarch Tavern’s intimate and informal setting. Mounted behind the newly installed stage is a vintage black-and-white photo of Monarch patrons celebrating the end of the Second World War. 3. The space also features a multimedia system, complete with stage lights, soundboard, and a projector. Author Lindsay Gibb launched her book National Treasure: Nicolas Cage (ECW) at the Monarch this October. “Multimedia was really important since, to really appreciate Nicolas Cage, you have to see him,” Gibb says.